We have a tendency to declare special days and months for important causes, and once the time is over, to forget about them. For example, we publish books and run TV specials for Black History Month in February, which then provides an excuse for the lack of diversity in media for the other eleven months of the year. My contribution to the CSP’s program on Connectedness. Yesterday, September 10, was World Suicide Prevention Day. 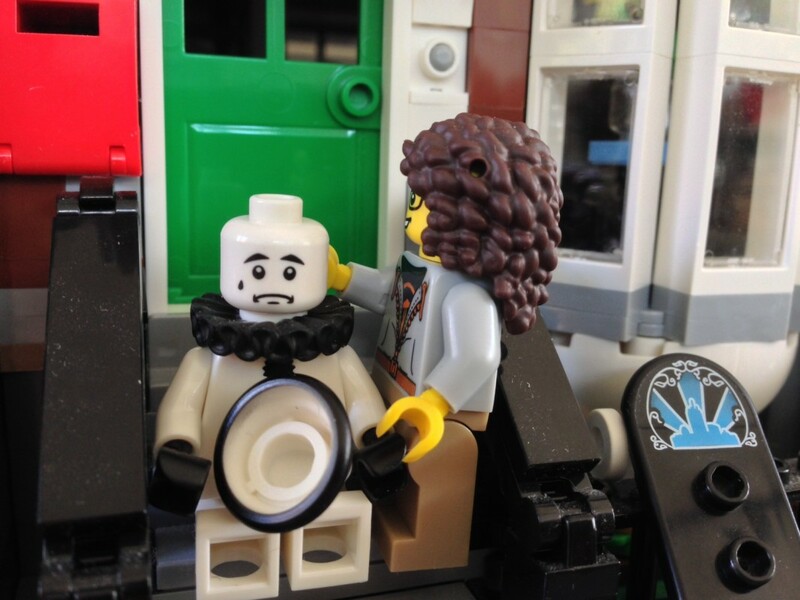 As a result of my Lego photography and tribute to Robin Williams, I was invited to contribute some photographs to the Calgary, Alberta-based Centre for Suicide Prevention’s display on the theme of Connectedness. 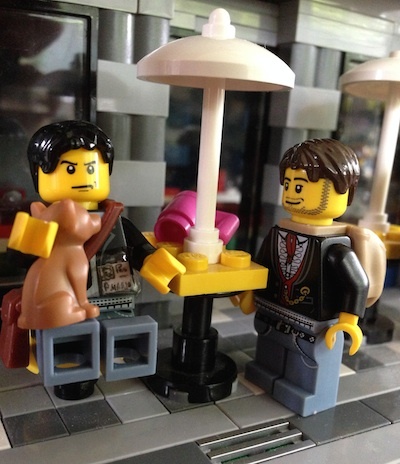 The CSP planned to use the photos in association with a live Lego building event to demonstrate the importance of social connectedness in reducing the incidence of what is now the single biggest cause of death of men under 50 in the UK. In the US, suicide ranks second in causes of death among college-age men and women. While helping the CSP with their social media campaign, I read various articles that deepened my awareness of the problem. This month Pam Watts is devoting her blog, Strong in the Broken Places, to articles, interviews, and book reviews on mental health issues. Ann Jacobus, who put me in touch with the CSP, offers a concise and well written overview on her blog, along with phone numbers for hotlines in various English-speaking countries. Cheryl Rainfield, an author for teens who has written powerfully about her own struggles with self-harm, posted links on various social media outlets to her list of “Reasons Not to Kill Yourself, If You’re Thinking of Suicide.” It’s worth reading carefully, because she’s been there. 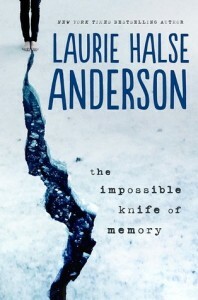 At the time that Ann contacted me, I was nearing the end of Laurie Halse Anderson’s most recent novel, The Impossible Knife of Memory. A fan of her earlier Speak and Wintergirls, I was especially interested in the new one because it features a teenager coping with her father’s Post-Traumatic Stress Disorder — a similar situation to the one my characters Daniel in Gringolandia and Tina in Surviving Santiago face with their father. The circumstances are different — Anderson’s protagonist, Hayley Kincain, is an only child who lives with her single father, a veteran of the wars in Afghanistan and Iraq, and her novel highlights the challenges that veterans of those wars face along with their families. Hayley’s closeness to her father means that she has absorbed the hyper-alertness, paranoia, and emotional numbness and detachment characteristic of PTSD. She lives in fear that her father will kill himself, a fear that turns out to be well-founded. The conflict comes because Hayley needs to get on with her life, but she is the only person who connects her damaged father to the real world, and even she is starting to crack. In my forthcoming (2015) Surviving Santiago the other characters are aware of Marcelo’s fragile state, and they have formed a “security detail” to watch over him. He believes, as does Tina when she first arrives in Chile from the US to visit him, that this security detail is to protect him from his political enemies, but within her first week she comes to realize that the political situation is far less dangerous to him than his own mind. Those around Marcelo have already taken away guns, knives, ropes, and access to pills (things that remain tantalizingly close to Hayley’s father), but they cannot change his reckless disregard for his own safety in what is still a volatile political situation. When Tina arrives, fresh and naïve and with her own agenda, she disrupts the balance, but can her desire to connect with her father give him the strength to save himself? There are a number of books for teens that explore suicide and what went wrong, Jay Asher’s 13 Reasons Why being the most famous. From my own experience and reading, the most important thing to keep in mind here is — just as the CSP highlighted — Connection. In the articles I’ve linked, you will find myths debunked and suggestions made, both for the person considering suicide and for those around him or her. My number one suggestion is Don’t Be Alone/Don’t Let Someone Get into a Place Where He or She Feels All Alone. When it counts, Gabby the Skate Girl listens. I have never attempted suicide, but I have thought about it [time to point out the relationship between bullying and suicide], and there have been times when I have felt all alone in the world. It’s a terrible place to be. There are times when I have been all alone and tried to reach out, and people have slapped my hand away. That will happen to you too. Some people are jerks. Others are trying to save themselves, and they think this is the only way to do it because we live in a dog-eat-dog society. Others may want to help but don’t know how — like Kiara in my novel Rogue, they don’t know how to be a friend. But just because one person turns away doesn’t mean the next person will. 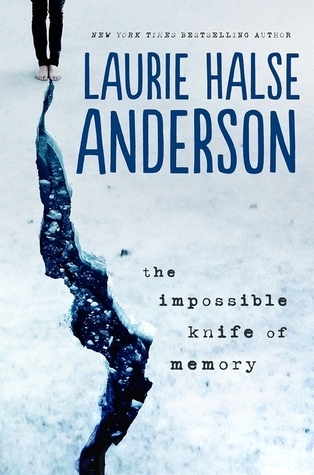 People also change, as shown in The Impossible Knife of Memory. If you haven’t been there for someone else in the past, you can change too. The resources in these links can help you become more aware, more capable of connecting with someone who is hurting and bring him or her to a place where there’s expert help. Suicide prevention is a year-round effort. It’s time to learn more and do more to help. Thank you for this, Lyn! Very well-put. May I re-post? 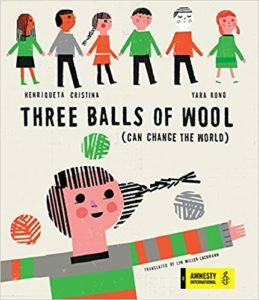 This latest Halse-Anderson book looks intriguing (as does your own novel.) I can’t wait to read them. I am a huge fan of Speak. I have a pretty serious qualm about Winter Girls, though. Because from everything I have seen and read, eating disorders are a symptom of another problem. But that book completely leaves out the rest of the girls’ lives (as do most portrayals of eating disorders.) For that reason, though, I would not feel comfortable handing that book to teens either to raise awareness or help them understand their own struggles. Thank you, Pam! I’m glad you liked the piece, and feel free to repost. I’ve really appreciated your focus on writing about mental illness at Strong in the Broken Places, and I hope it, and books like your featured Don’t Touch (which I’m in the middle of reading), destigmatize mental illness and the young people who suffer from it. I hope so, too, Lyn. An important and thoughtful post, Lyn. Thank you. Thank you, Sandra! I’m glad you found it helpful.